HandBrake is a famous DVD ripper and video converter. 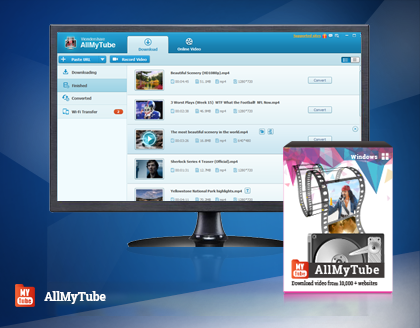 It can convert videos from and to many formats. Of course, for most users, the best thing about HandBrake is that it can be downloaded for free. Therefore, I'm astonish when I find that many people want to find a HandBrake alternative. Then, I visit many forum websites and try to find the reasons that why people want to abandon HandBrake and ask for an alternative for HandBrake. In the following passages, I will manage my findings about the reasons and recommend a good HandBrake alternative for you. So you have another choice if you have trouble in using HandBrake. If you want to find a brilliant HandBrake equivalent, I would humbly recommend Video Converter Ultimate for Windows and Mac (El Capitan and Sierra included). Why? Because Video Converter Ultimate features itself with impressive functions. Convert common and uncommon videos like H.265/HEVC, 4K, AVCHD, VOB, etc. to virtually any file formats. Versatile video editing functions: rotate, trim, merge, split, watermark, effect, subtitles, etc. Adjust output profile parameters: codec, size, bit rate, frame rate, resolution, sample rate, channels, etc. Video Converter Ultimate (Win) is fully compatible with Windows 10/8/7 and Video Converter Ultimate (Mac) can run on Mac OS El Capitan and Sierra smoothly. Use Video Converter Ultimate to solve those annoying problem you encounter while using HandBrake. Video Converter Ultimate has an intuitive interface. to finish converting videos or rip DVD, you just need a few steps. Step 1. Download, install and run this videos converter on your computer. Step 3. Choose your output format. You can choose a specified format or choose the preset formats for your device such as iPhone, Samsung or PSP. Step 4. Just click the "Convert" button to start conversion. After doing some researches on video conversion, I realize that ripping DVDs or converting videos is a time consuming process. In this case, choose a more reliable video converter tool is important. In my opinion, HandBrake is good, but it is preferable to have as an alternative to compensate for the flaws. What's your opinion?